This is the sixth post in our “Colourful Woman Wednesday” series, which features stories of colourful women surviving and thriving. If you’d like to share your story, or nominate a colourful woman for this feature, email us or get in touch via Tumblr,Twitter or Facebook. 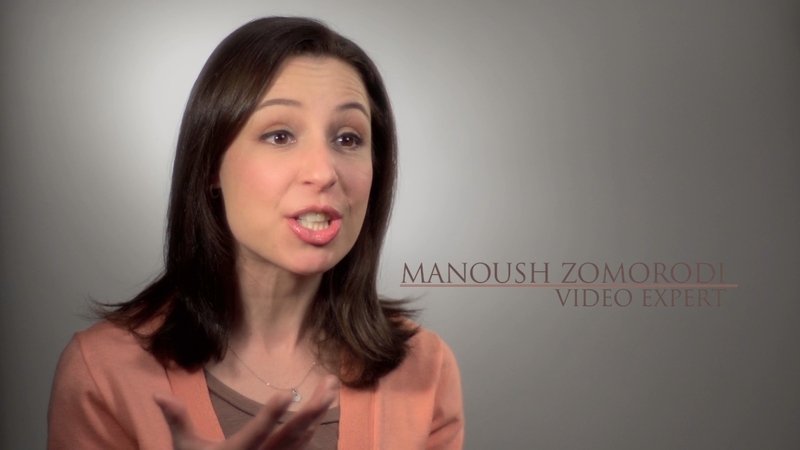 Manoush Zomorodi is a freelance reporter, moderator, and media consultant. Her multimedia ebook CAMERA READY: How to Present Your Best Self and Ideas On Air or Online is the definitive manual for anyone appearing on camera. Manoush is piloting a new public radio show about how innovation is changing New York. She contributes to the BBC’s Talking Movies show and hosts conferences on digital technology (including social media, online publishing, and start-ups). She also conducts private media training/strategy sessions and moderates videos for corporations and non-profits. She lives in Brooklyn with her husband, NY1 reporter and anchor Josh Robin, and their two kids. Manoush was born and bred in NYC and is half Swiss and half Persian. Oh, and the name? It’s pronounced mah-NOOSH zom-or-ROAD-ee. ‘What makes you a colourful woman? My excessive potty mouth? No, I guess I’m colorful (or colourful- I also speak British) because I just can’t help myself from jumping into a conversation and asking lots of questions. I’m nosy and that’s always been very helpful as a journalist and makes people remember me, for better or worse. I remember a game we once played in the BBC’s Washington bureau where each person had to be labelled with one word. The word they come up with for me was “zesty.” Like a good salad dressing. Right now, I would have to say Elmo. My 2 year-old is in love and I have developed a real fondness for Elmo’s combination of kindness and sass. Plus, red is a power color that really pops on camera! Sheesh, too many. Besides having a multimedia enhanced ebook coming out on Tuesday, we are running a Kickstarter campaign to get the ebook’s “Quality Video for Everyone” message out. I’m a first time author and finding the whole process very exhilarating and emotional. I’m also piloting a public radio show about how innovation is affecting the NYC economy. Plus, I do my regular media training. Oh, and I have 2 kids and I’ve been dealing with the New York public school system and Kindergarten placement. That’s a full-time job in itself! Just do the best you can. If you are a mom, don’t kill yourself but also, don’t put everything off “until the kids are older” because things are moving too fast in media and the digital world to jump back in whenever you want. And not everyone is going to LOVE you. After being a news ‘wunderkind’ in my twenties, it’s hard to get used to that. But I’ll always have Elmo.